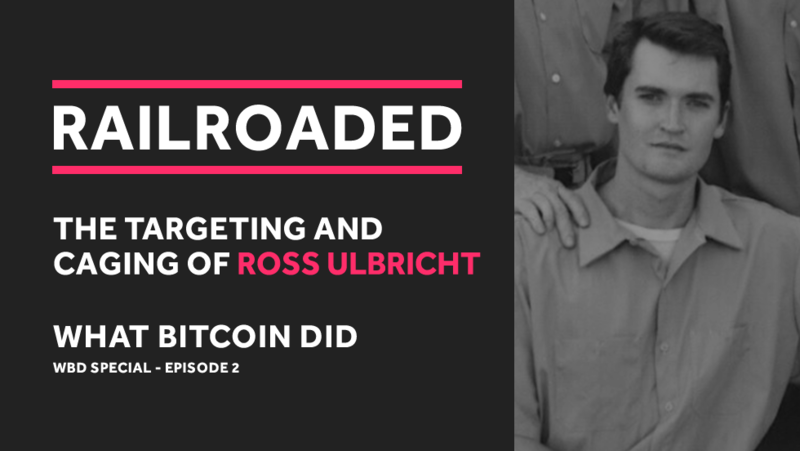 Created and produced by the Free Ross team, Railroaded is a 6-part series documenting the creation, investigation and shutdown of Silk Road, and the prosecution of Ross Ulbricht. Railroaded is a special release on The What Bitcoin Did Podcast. Regular listeners will be aware how important this case is to me and that I have twice had Ross’s mother, Lyn Ulbricht on the podcast to discuss the case and Ross. Railroaded is a 6-part series documenting the case. It is based on public information sources, including court filings, transcripts, trial exhibits, affidavits, warrant applications, subpoenas, judicial rulings, investigation reports, press releases, sworn testimonies and direct evidence. Some gaps remain due to government protective orders, redactions, sealed records, missing records the court cannot account for, dropped investigations, tampered evidence, communications and other data that remain encrypted, and the fact many of the parties involved have not testified. Note: the information presented in Railroaded is based solely on the public record and should not be attributed to me, Ross Ulbricht, Lyn Ulbricht, or anyone connected with freeross.org. I am also not responsible for and do not verify for accuracy any of the information contained within this series. While I am close to the case due to my interviews with Lyn, I have not been involved in any of the production of this series. Railroaded was created and produced by the Free Ross team. I am allowing them to use my podcast to reach a wider audience, and hopefully raise awareness of Ross’s plight and his fight for clemency. This is now the best chance to stop Ross from spending the rest of his life in prison. Railroaded is also available on the Free Ross website and YouTube. There are extensive show notes in the footer of this page. The closure of the Silk Road: what has this meant for online drug trading? A Silk Road to total freedom? Eagle Scout. Idealist. Drug Trafficker?